LG 50PN450B review - I know these days everybody is talking about Full HD, Smart TV, LED TV, 3D TV... well the LG 50PN450B doesn't have any of these. 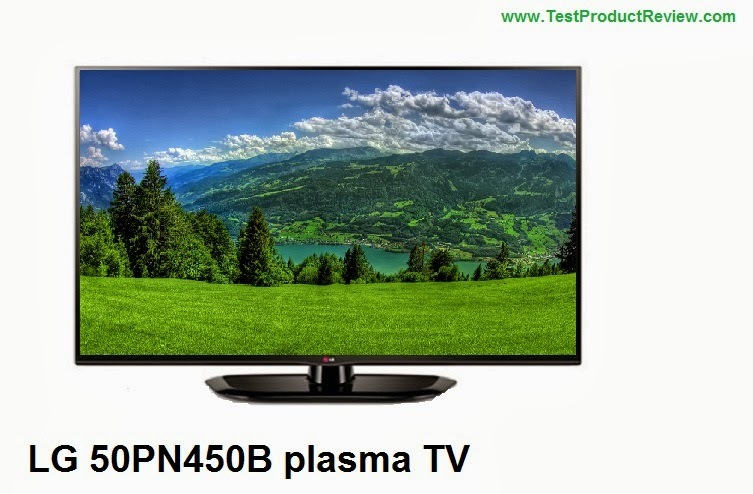 What the 50PN450B has is probably one of the lowest price tags for a 50-inch TV that you can find on the market today and that makes it one very popular TV, because cheap is almost always popular, especially if it is LG branded product. LG 50PN450B is definitely not going to impress you with high-end specifications. It has resolution of only 1024 x 768 but thankfully the contrast is pretty high with 3 000 000:1 contrast ratio. One very positive thing that I can say about this plasma TV is that it has very compact dimensions. It is very thin and has very small frame and actually looks pretty elegant. It is the cheap plastics which are used to 'dress' the panel give up that this is a TV from the low price range. LG 50PN450B also has Real Cinema 24p movie mode and a good set of connection options including USB port, 2x HDMI ports, RF In, CI Slot, Component (Y,Pb,Pr), Scart Full and Digital Audio out. The picture processing in this TV is provided by the popular LG Triple XD Engine image processor and 600Hz Sub Field Driving. As for the price, this TV is the absolute winner in the 50-inch category. You just can beat a price tag of under £400 in UK (around 450 Euros) for such big screen TV.